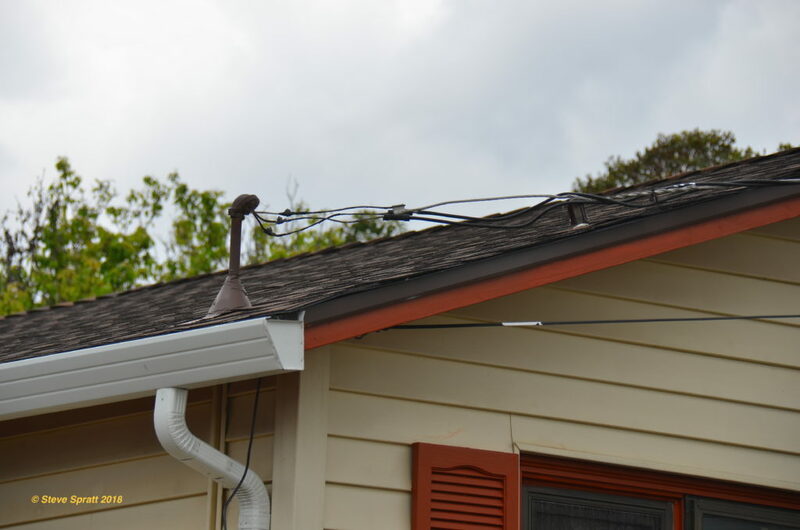 The main wires from the electric utility deliver power to your home through the meter. From the meter, power flows through large circuit breakers on the main panel that turn the utility power on or off. When the main breakers are in the on position, electricity flows on to electrical distribution panels. From these panels, individual circuit breakers deliver electricity to the various outlets, switches and appliances throughout the home. Circuit breakers look like those in the third image below. Each breaker needs a clear label indicating what it controls. Circuit breakers are sensitive safety devices. They look like switches but behave like old fashioned fuses. Older circuit fuses like those shown below would simply burn out if overloaded. Instead a circuit breaker will “trip” and instantly shut the circuit down when it senses an overload. It then can be reset rather than replacing a ruined fuse. Breakers can survive many trips and resets, saving a lot of fuses, and time. 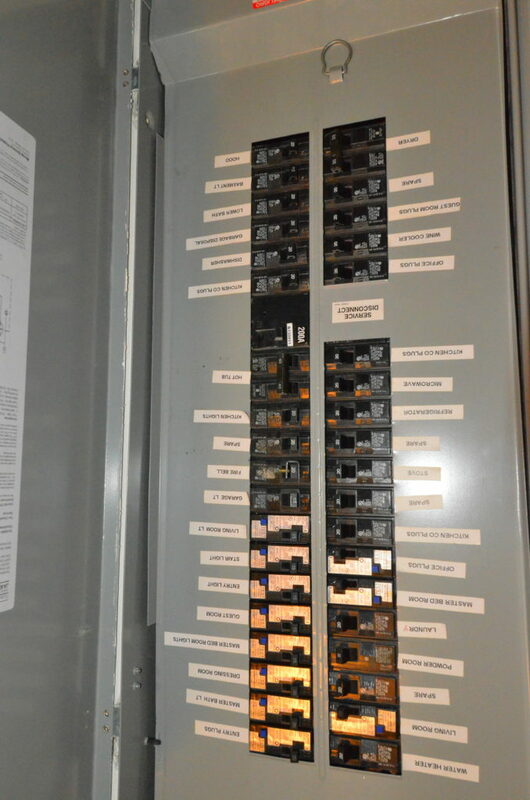 Circuit breakers have been the standard for distribution panels since the 1960’s. Fuse systems are essentially obsolete. Note: Although most fuse-based electrical systems have been replaced, there are still some at work in older homes throughout the US. 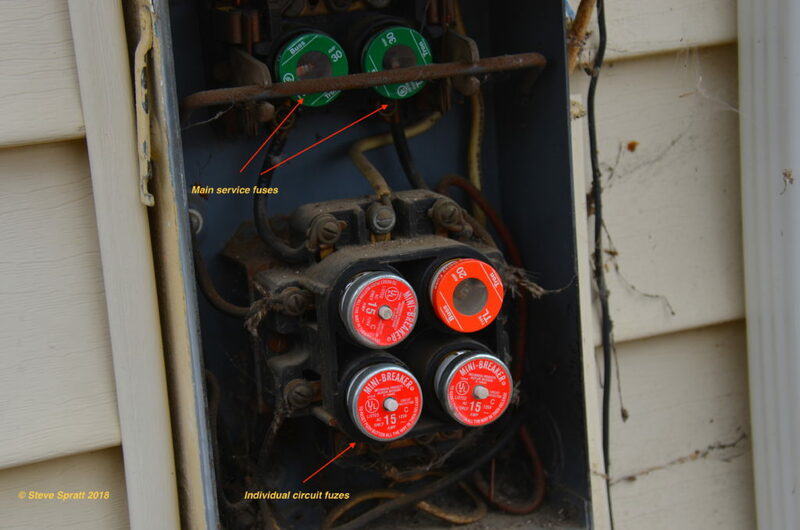 Have fuses inspected by a licensed electrician if you have them. 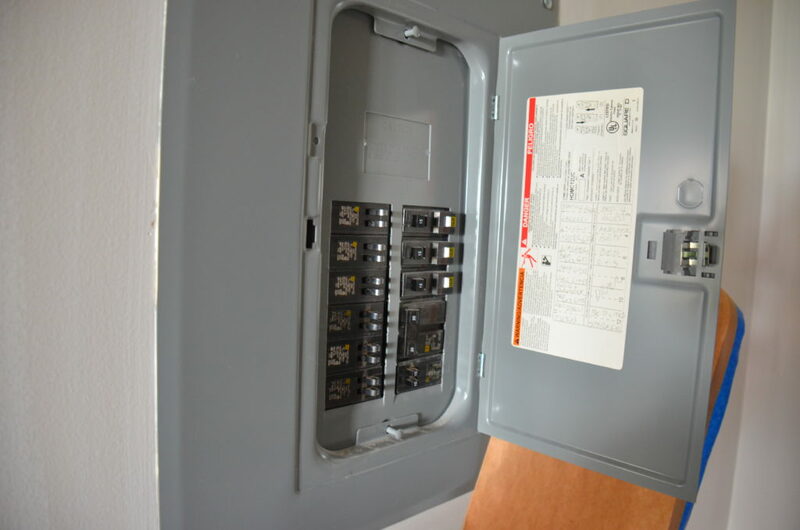 Residential circuit breakers are typically spring-loaded switches. If the circuit overloads, spring pressure closes the switch and shuts down the circuit. A bit like a mouse trap. Once tripped, the breaker switch will be resting in a position between on and off. To reset the breaker, it must be switched completely off, then pushed firmly back to the on position. Breakers trip due to a short or overloading of the circuit and do so to prevent fires and electrocution. Overloading a circuit with appliances can cause trips. Other causes for trips are: a worn cord, a defective appliance, or operating an appliance with too high a voltage requirement for the circuit. The starting of an electric motor can also trip a breaker. Diagnose a repeating trip like this: unplug all items connected to it and reset the breaker. A trip when nothing is connected indicates internal wiring issues. You will needed an electrician to repair. If the circuit remains on, one of the items you unplugged is defective and will require repair. Find your main panels and sub panels so you know where they are located in the home and label them. Inspect the individual breakers for proper labels. Inspect for damaged areas, gaps or openings in the panel or around the breakers. Have an electrician make repairs. I am not aware of any maintenance or repair procedures that are formally recommended by the manufacturers of circuit breakers. Every 3 years: Inspection of the distribution panels and subpanels. The breakers and panel assemblies are subject to corrosion and the effects of heating/cooling. Intrusion of insects and animals into the interior of the panel enclosures can also cause problems. These things could affect proper operation. So it is advisable to have a licensed electrician inspect the interior of the panel and test the breakers. Have an electrician torque all wire connections to manufacturers specified tightness.